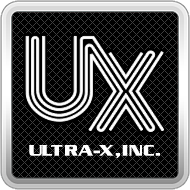 Navigation Menu – Ultra-X, Inc.
CloudOne is designed to be screen response. This means the webpage will automatically configure itself to the best perspective based on your screen settings. For smaller screens such as mobile devices, CloudOne Navigation menu will retract by default. To expand the navigation menu, click on the menu icon on the top most left on the page.